Dopamine is a neurotransmitter and its main function is its role in brain activity. It controls the pleasure and reward centres of the brain. In addition, it is also essential in regulating movement. L-Dopa is the dopamine supplement. Both the supplement and dopamine focus on neurochemistry. So, it has a huge impact on how we feel as well as on how we behave and react to certain circumstances. Dopamine gives us the ability to think, process, to plan ahead and to resist negative impulses. We can define dopamine as a neurotransmitter that controls a number of communication pathways in the brain. Dopamine instructs neurons to transmit signals, modulate those signals, or cease transmission of those signals. Dopamine is also known as catecholamine. Catecholamines are defined as a specific chemical group that is attached to an amine. You usually get dopamine from the foods you eat. It is not manufactured in the brain. It is manufactured from the protein amino acid called tyrosine. Tyrosine ion the other hand is manufactured by another amino acid called phenylalanine. Dopa or l-dopa is a nutritional supplement. Through the action of a chemical called dopa decarboxylase, it becomes dopamine. Neuropinephrine, another neurochemical in the brain, can also be converted to dopamine. This depends on a number of chemical reactions. Dopamine cannot cross the blood-brain barrier as serotonin and tyrosine can. This means that brain needs dopamine, but it is manufactured through a number of precursors. L-dopa supplements are very beneficial for providing the body the chemical components needed to provide dopamine. The basic function of dopamine is to provide motivation. In addition to brain function, dopamine is also associated with other body functions like metabolism. 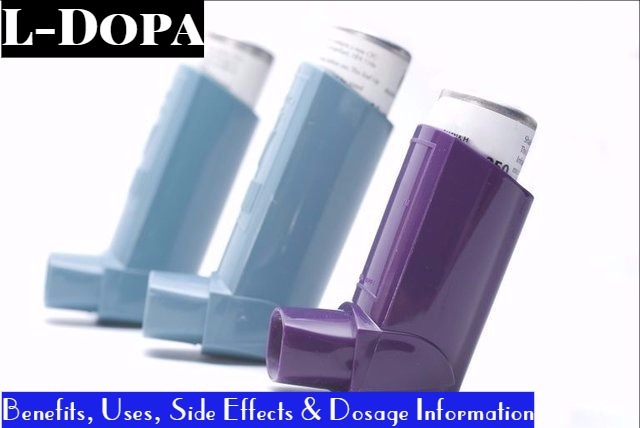 L-dopa is a supplementary chemical substance. It is required in the normal biological processes by humans as well as many plants. Eating behaviours such as binge eating. Excessive levels of dopamine in the body, especially where it doesn’t belong, can cause psychotic behaviours. This is often seen in individuals who engage in illicit drug use. Excessive use of drugs can interfere with the use of dopamine by the brain. This is noticed in people using cocaine and methamphetamines. As a result, there can be excess of dopamine in the blood stream. This can lead to many sensations linked to addictive drugs like a sense of euphoria or well-being, intense libido or sexual desire and feelings, as well as aggression. One of the main sources of L-dopa comes from the legume plant, Muca pruriens. This plant has been used for thousands of years in ayurveda medicine for treating a number of diseases, which includes tremors associated with Parkinson’s disease also. L-dopa supplements are popular with the customers because of their ability to increase the concentrations of dopamine in the body. For example, after the absorption of L-dopa into the central nervous system, it is converted into dopamine. It needs dopa caboxylase for the conversion. All activities in the brain involve activities and actions of neurotransmitters, receptors, and neurons. Each of these can be targeted for a pharmacological intervention. This is often achieved with psychotropic drugs, but over-the-counter supplements may also increase or decrease neurotransmitter and receptor functions and systems. Other than brain function, L-dopa supplement is also good for improved sexual libido and health. Body builders and athletes use it to enhance the benefits of testosterone, HGH, and other prescriptions. It also improves the muscle gains, physical endurance and stamina. Before you take in L-dopa, it is advised that you consult your doctor, especially in the case of any emotional or mental issues or diagnoses. L-dopa supplements can cause some side effects and potential interactions when used for long. The dosage, age, weight, height and health can have influence on these effects. Nootropic forms of L-dopa are used for improving concentration, attention or focus, and for improving mood. The most popular forms of L-dopa supplements is that extracted from Mucuna pruriens. However, it is still to be verified by scientific studies as to the ability of this plant to increase dopamine levels. Those who suffer from blood pressure or cardiovascular problems may notice an increase in blood pressure. But when taken under 1 g, the side effects are very less. Starting dosage recommendations for L-dopa is between 100 mg and 900 mg daily. You can divide it into two or three separate doses throughout the day instead of taking it at one time. New users of L-dopa should take care to start with lowest dosage and then gradually increase it to maximum dosage. This means you start at the lowest dosage, 100 mg a day. Take it once or divide it. This may help in reducing side effects until your body gets used to it. After a week or two you can increase it by 100 mg and so on. You should not split or divide pills, capsules or tablets of L-dopa because it can affect its efficacy.